Frequently Asked Questions About Diabetes and Oral Health - Maritato Dental, L.L.C. 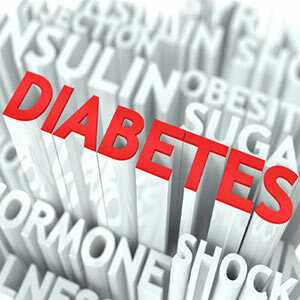 People with diabetes have special concerns when it comes to dental care. In fact, 1 in every 5 cases of total tooth loss is linked to this widespread health condition. November is National Diabetes month, so it’s a good opportunity for us to answer some frequently asked questions about oral health and diabetes. Q. Can I get a dental implant to replace a missing tooth even if I have diabetes? A number of studies have shown that people with diabetes can be good candidates for dental implants, but there are some concerns regarding dental implant treatment, which involves minor surgery. Wounds tend to heal more slowly in people with diabetes, who are also more infection-prone than those without diabetes. In diabetic individuals with poor glucose control, research has also shown that it takes longer for the bone to heal after implant placement. We will take these (and other) factors into account when planning your implant treatment. However, in many situations even poorly controlled diabetes does not necessarily preclude dental implant treatment. Q. I’ve heard people with diabetes have a higher risk for gum disease. Is that true? Yes. Research shows that people with diabetes are more susceptible to periodontal (gum) disease, especially when their diabetes is poorly controlled. The reverse is also true: untreated periodontal disease can worsen blood sugar levels. So it’s important to manage both of these inflammatory conditions. If you notice the early signs of gum disease, such as inflamed or bleeding gums, please bring this to our attention. Early gum disease (gingivitis) is much easier to treat than more advanced forms—which can eventually lead to tooth loss. Q. If I have diabetes, how can I protect my oral health? Keep doing your best to control your blood sugar levels with exercise and a healthy diet—and stick to an effective daily oral hygiene routine, which includes both brushing and flossing and coming in for regular dental checkups and cleanings. Make sure to let us know what medications you are taking and update us on any changes. If you notice any mouth sores, swelling or inflammation, bring this to our attention as soon as possible. If you have additional questions about diabetes and oral health, please contact us or schedule an appointment for a consultation.